In our previous post, we had posted an easy guide on how to unlock the bootloader of Moto G5S Plus. In this article, we will be discussing how to root Moto G5S Plus and install TWRP custom recovery. 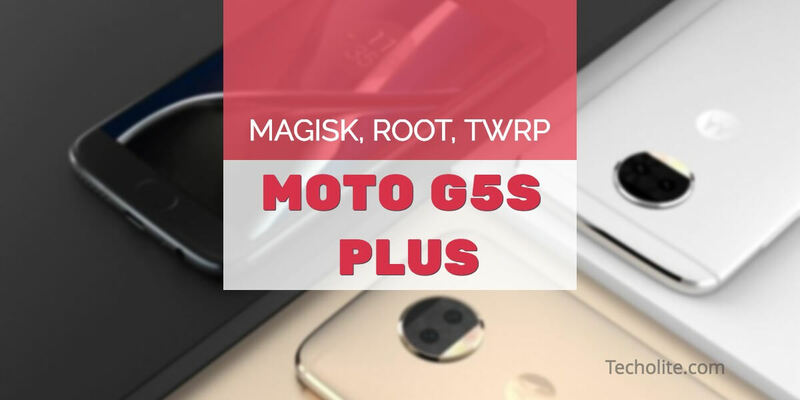 To Root Moto G5S Plus, first, we will have to install TWRP custom recovery and then we will have to flash magisk which will root your device. We require few resources for the following process to complete and you can find them at the bottom of this post under the downloads section. 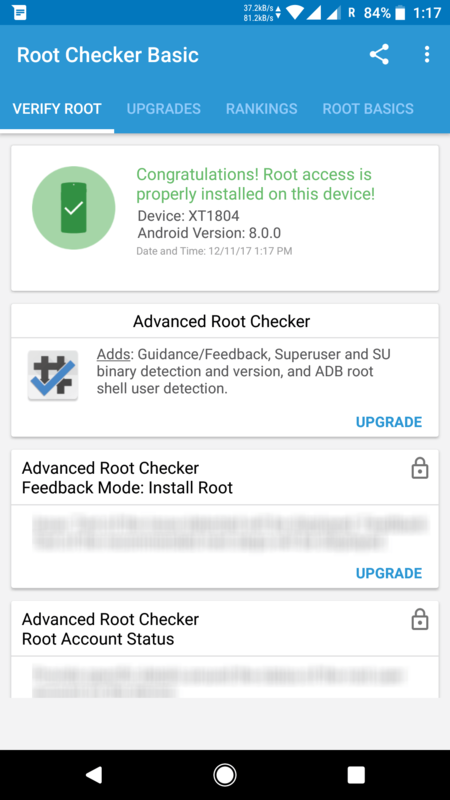 Rooting an Android device gives special privileges to explore the root of the device that enables a user to install custom ROM’s, kernels and other mods. It also helps a user to edit sensitive files that are locked on stock ROM’s, like editing the build.prop file, kernel etc. You should be aware of the fact that rooting a device breaks the warranty, but in many cases, we can still avail the warranty by unrooting the device or installing the stock ROM. If you just want to install TWRP and install custom ROM’s then you do not need to root Moto G5S Plus, once you have unlocked the bootloader you can simply flash TWRP custom recovery and reboot but that is of no use until and unless you root or install a custom ROM. The development of Moto G5S Plus has started and many custom ROM’s based on Android Oreo has been released as well, we have already installed few custom ROM’s on our device and are testing and reporting bugs, soon we will be posting the detailed review of the ROM’s individually. DISCLAIMER: Unlocking bootloader, rooting and installing custom ROM’s and recoveries break the warranty on the device. Please be advised that Techolite and its authors are not responsible for any loss during the process. You are the sole responsible person for any dead SD cards or boot loops. As we always say, please keep your device charged 80% and above so that you do not brick your device. Congratulations! Now you have successfully rooted your Moto G5S Plus, now you can install applications that require root access. The entire credit goes to shu006 for his guide how to root Moto G5S Plus and install TWRP. You can help him with thanks of appreciation by donating him. Please visit his official thread on XDA-Forums and support his hard work.